If you ever get the chance, spend an idyllic summer meandering through the sunshine- and seafood- filled towns along Italy’s picturesque coastline, delighting in the expanse of aquamarine seawater, rustic yet finessed culinary offerings and local wines. Alternatively, zigzag your way into the hectic heart of Wanchai, where you’ll find Black Sheep Restaurants’ ode to summer road trips along the Italian coast: Osteria Marzia. Marzia means “of the sea”, and the osteria is aptly situated on the ground floor of The Fleming, a newly refurbished maritime-themed boutique hotel tucked incongruously into an industrial-looking, overpass-laden corner of the neighbourhood. Step inside and it’s easy to forget you’re in the middle of one of Hong Kong’s busiest districts. 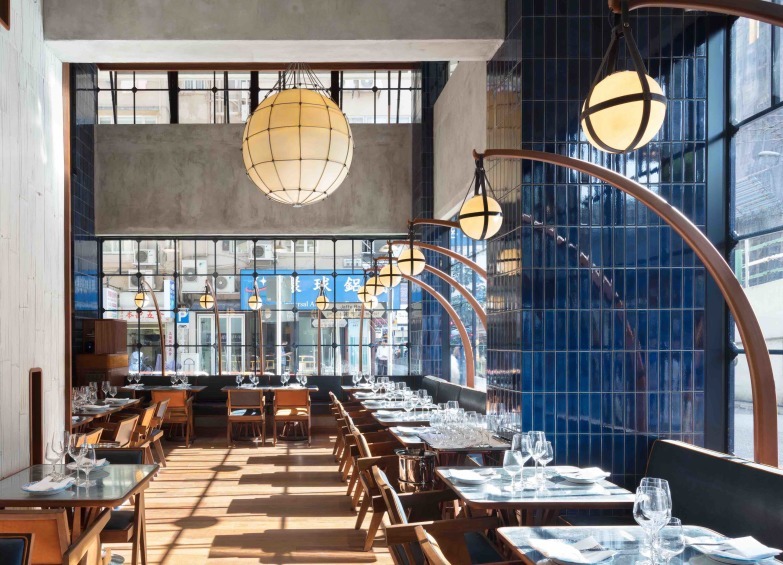 Designed to replicate the feel of a sunny maritime holiday in Italy, Osteria Marzia is all tall ceilings, warmly lit interiors and oceanic hues. The nautical references extend to the servers’ striped uniforms and design features such as the curved wooden bar counter and buoy-like lighting fixtures, while the dishes are served in custom-hand-painted Positano ceramics. 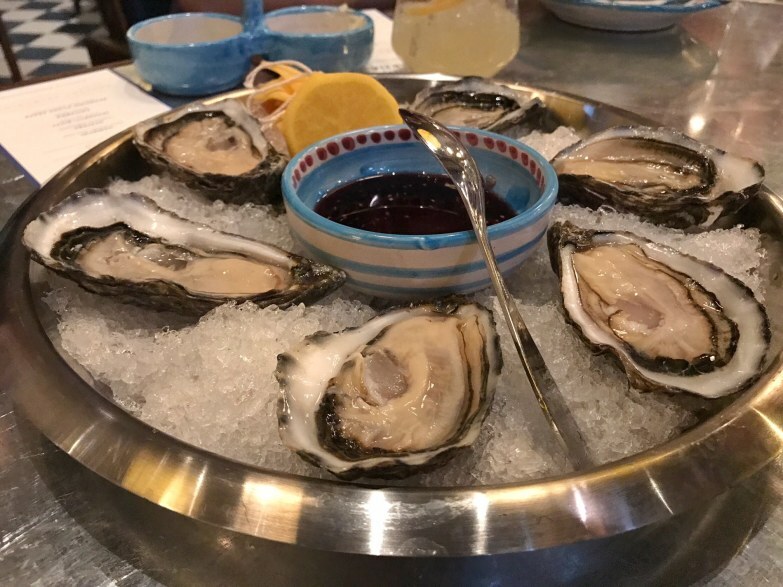 We started our tasting with a round of fresh oysters with Lambrusco wine mignonette ($238) and a simple but surprisingly addictive side of charred bread served with butter and anchovies. 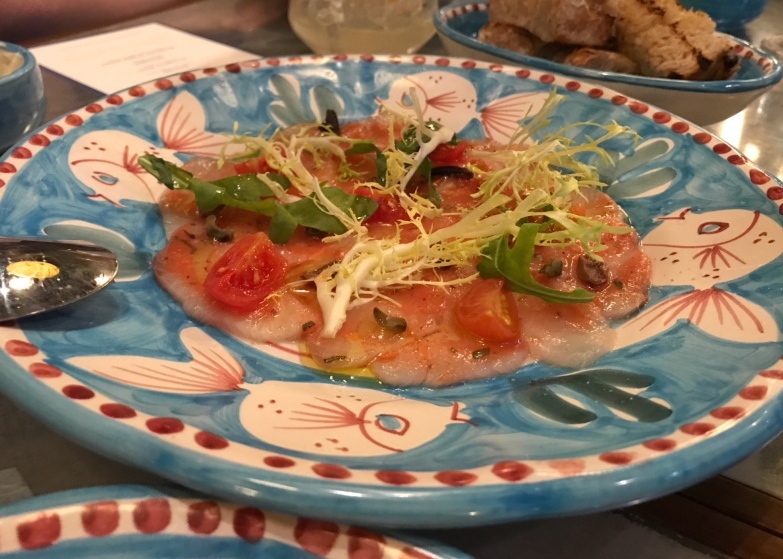 There was also hamachi with cherry tomatoes and olive basil ($178) – classic ingredients that provided a refreshing tang that complemented the raw fish without overpowering it. 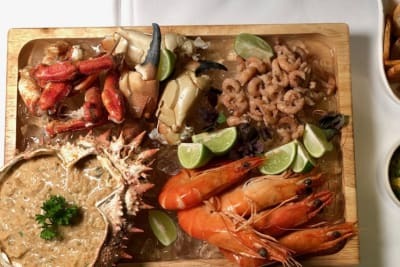 Friendly service, fresh seafood – so far, so good. Next up, a selection of authentically, perfectly al dente pastas: spaghetti ricci ($288), chitarra pasta with Boston lobster ($248) and bucatini con sarde ($188). The spaghetti ricci, with its decadent lashings of buttery, briny sea urchin, is often billed by reviewers as Osteria Marzia’s standout dish – and for good reason. 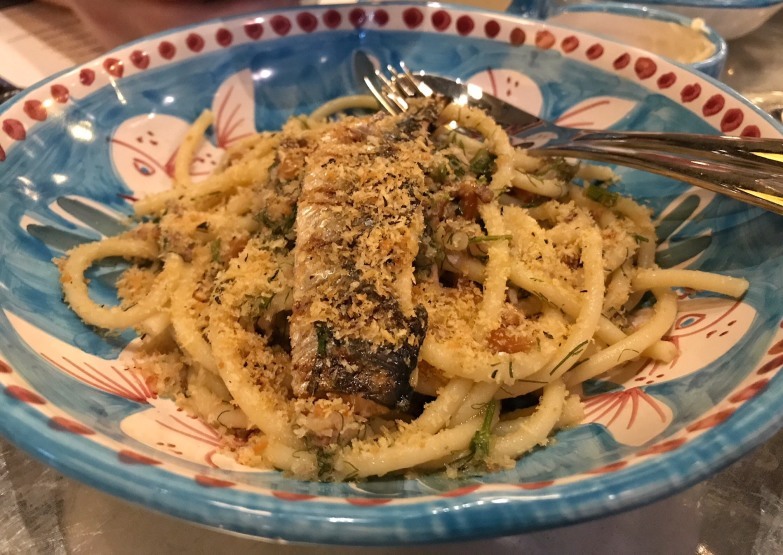 But having just returned from a summer in Sicily, I thoroughly enjoyed the bucatini (a thick, hollow spaghetti-like pasta) with sardines, fennel and saffron – a classic Sicilian dish that showcases the region’s produce and history: wild fennel and sardines are plentiful in Sicily, while the saffron recalls ancient North African/Arabic influences. 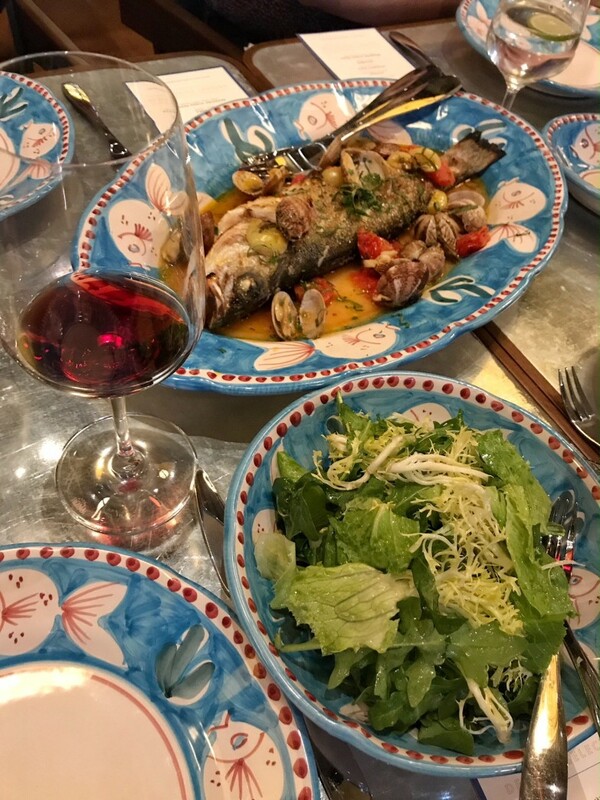 For the mains, we tried the branzino aqua pazza ($598) – grilled European sea bass served whole, in a stock made even more flavourful by generous helpings of clams and cherry tomatoes. If you want a break from all the seafood, the lombata (i.e., beef sirloin) ($298) served with anchovy butter and shallots is a delicious option. 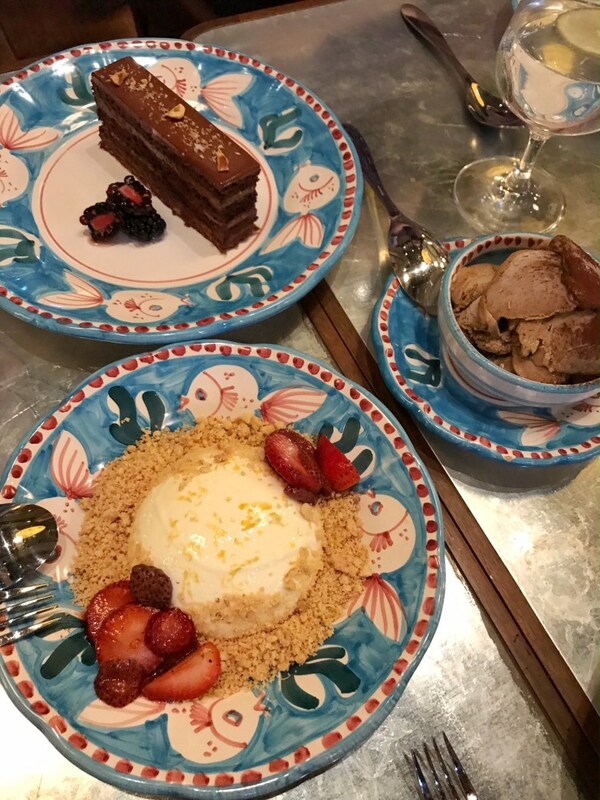 We sampled all the desserts on the menu (tough job, but someone’s gotta do it! 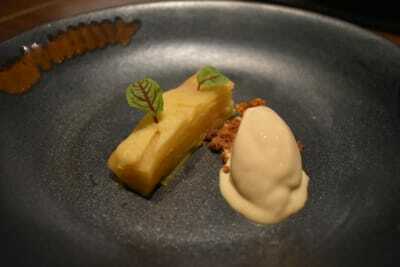 ): crostata di frutta ($118), cherry granita ($78), yoghurt panna cotta ($118), espresso gelato ($88) and gianduja ($118). The yoghurt panna cotta was a unique take on the classic dessert, but it might not appease panna cotta purists. If you’re a chocolate lover, you can’t go wrong with the gianduja – a layered chocolate cake topped with a rich chocolate glaze sprinkled with hazelnuts. Osteria Marzia is certainly a welcome addition to Wanchai’s eclectic culinary mix, and its small but carefully curated menu is testament to the focus and mastery behind each dish. 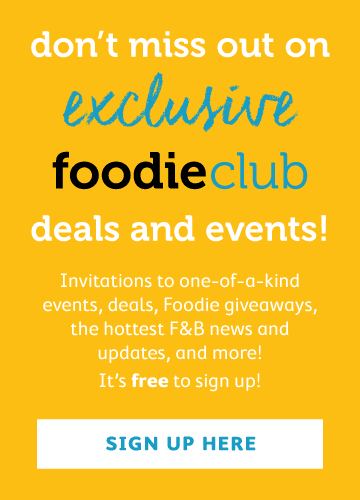 There are no showy or unnecessary bells and whistles here – just elevated and excellent versions of classic dishes, where quality ingredients take centre stage. Be prepared though – the vibrant flavours and heady vibes, like holidaying on the Amalfi Coast during peak season, do not come cheap. But it’s worth considering a splurge to savour la dolce vita, if only for one night (or until the bill comes and the limoncello wears off).